The iconic Maserati Quattroporte, which is in its sixth generation, has now got a makeover from Ermenegildo Zegna. Two Italian luxury giants Maserati and Zegna have collaborated to create the Maserati Quattroporte Zegna Limited Edition, of which there will be only 100 models, and an exclusive Owner’s Collection of fabrics and accessories. The Quattroporte Zegna was introduced at the 2013 Frankfurt and Geneva motor shows and went into production in July this year. To celebrate this partnership, Maserati and Zegna are launching a tour of four international cities this month, starting with Shanghai, followed by New York, Dubai and Milan. The Quattroporte Zegna edition’s exterior is done in platinum silk tone, a unique paint finish that combines the effect of metal with the soft look of silk. For the cabin, warm and classical Moka colours such as testa di moro (dark brown) and greige (a fusion of light grey and sabbia) have been used. 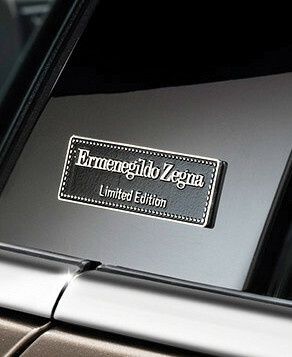 A combination of leather and silk inspired by the fabrics of the Zegna menswear collections has been used in the cabin. M aserati and Zegna customers in the four cities where the car will be exhibited will have the opportunity to discover its details and the finish of its interiors. As part of the tour, famous Italian photographer Fabrizio Ferri will capture the hands of 25 eminent personalities at each of the destinations for a series of special photographs. Those selected, including musicians, chefs, athletes and artisans, will have their hands portrayed in pictures that tell the story of their use. The photographs will be put together to create a book called One of 100. Some of the pieces from the Owner’s Collection of fabrics and accessories, specially created by Zegna using similar materials to those used in the car’s interiors, will be sold at select Zegna stores. Though the car is not going to be showcased in India, Maserati lovers can, at least, feast on these.